The Auburn Ski club has enough snow coverage to put on a 10K freestyle race this Sunday, January 29. It’s called “freestyle” because you are welcome to use traditional or skate skiing styles. Organizers are planning a mass-start but may use wave starts depending on the participation level. The race is open to recreational and competitive athletes. Start time is 8:00am from the Auburn Ski Club cross country area on Donner Summit, adjacent to Boreal Mountain Resort. You can enter on-line ($27.85) or race day. 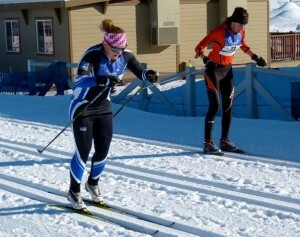 Use this race as preparation for The Great Ski Race on March 4, 2012. The Great Ski Race is a 30K cross country race that begins in Tahoe City and ends in Truckee.